Polish bunker for 1 h.m.g. 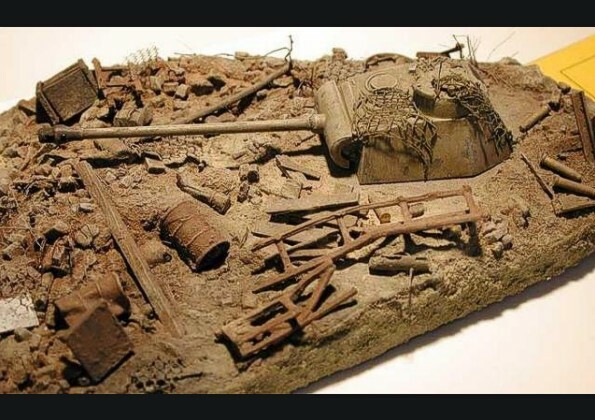 This simple 1/72 scale diorama shows an abandoned Panterturmstellung lies silent towards the end of the war. 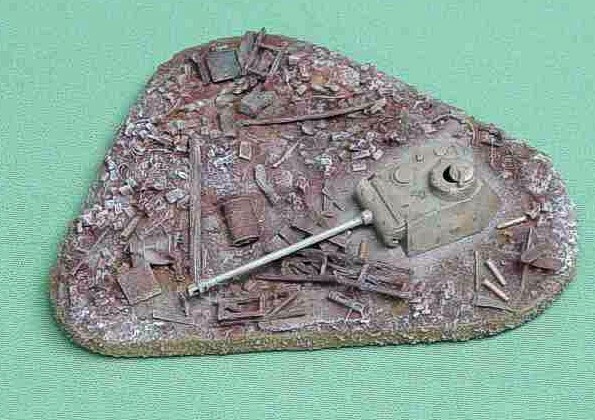 No penetration of the turret is evident, the crew probably ran out of ammo. The camouflaged turret now lies hidden between the debris...silently. This was a quick dio I made because I had the Panterturret (Hasegawa's) left over. The base and the rubble are mostly made from foam. I used pastels to give the rubble a more dusty look.